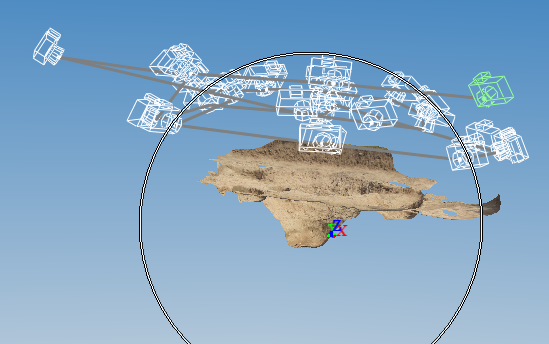 123D Catch is my program of choice when it comes to Photogrammetry, and although it comes with some limitations, I still believe it is the most efficient piece of software when it comes to everyday archaeological modelling. It combines speed, accuracy, an easy interface and it is free to use, even commercially. Speed: Especially in commercial archaeology speed is everything. You have a job to finish and a limited amount of time to do it, so the aim is to cut down the time spent recording while still preserving the same amount of information. 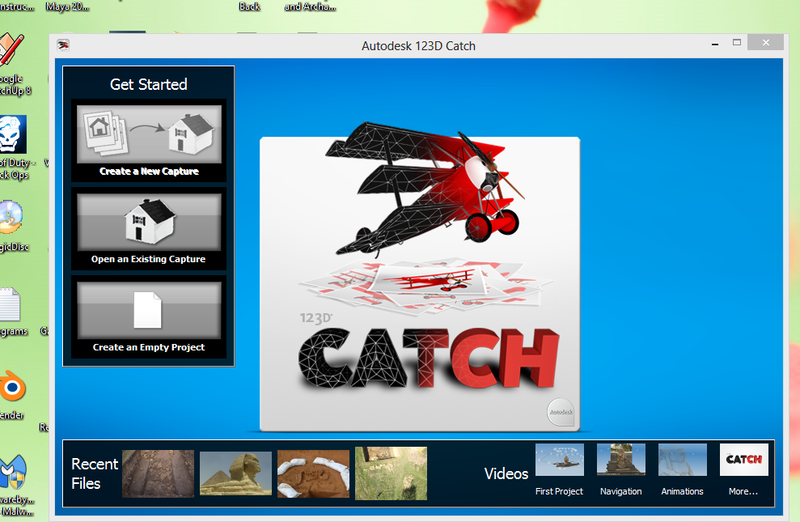 123D Catch is extremely quick provided it has a good internet connection. A basic model with 20 phoitos can be processed in ten minutes, and a more complex one in 15. Progrograms like Agisoft Photoscan take much more time, around 45 minutes for simple models, and many hours for larger ones. In addition to this 123D Catch models are processed o nan outside server, meaning you can run many diffferent models at the same time without slowing down your computer, while Photoscan really puts a strain on it. Othe rmethods of Photogrammetry, like those described by Ducke, Reeves and Score (2010), take days to process entirely. Similarly, a good laser scan can take a long time to process, and many stations may have to be set up. Accuracy: I’ve talked aout his before, so I won’t discuss it much here. Compared to other programs (and laser scanning), 123D Catch does seem to trail a bit behind when it comes to accuracy. The error margin seems to be between 1% and 0.17% (see table in earlier post and Chandler and Fryer 2011). Stereo closed range Photogrammetry has a range of 0.1% and 0.01% (Chandler and Fryer 2011) and laser scanning has a general standard deviation of 0.05-0.02% (Boehler & Marbs 2004; English Heritage 2011; Kersten et al. 2005). The main question to ask though is: do we need an error margin better than 1% for what we are using it for? Up to now I have had no problem with 123D Catch’s accuracy, so I feel that the answer to that question is no. Easy interface: I’ve always felt strongly that this type of technology should not simply be used by professionals who spend ages learning how a program works, but that it should be accessible to everyone. Therefore it is important the software is simple to use, with a good interface. With 123D Catch all it takes to make a simple model is click the upload button and then the process button. When it comes to more complex features of course it’s not as simple, but for everyday use it is ideal. The Ducke, Reeves and Scores method is extremely complex, and requires to user to know how to code and to use four different programs. The Photoscan interface is simpler, but the navigation tools still could do with improvement. Freeware: Not much to say about this. It is free, so accessible. It provides the same results as expensive programs and anyone can own it. Limitations: Of course there are also some limitations to the program. The main one I have found is that unlike Photoscan, it relies on an internet connection, which makes it difficult to use on a site. While digging on Ham Hill I had to pop down to the local pub every night and use their extremely slow internet connection to process models, which would take ages. 123D Catch also struggles with larger features, mainly due to the fact it doesn’t work well with more than 60 or so photographs. There are ways round it, like manual stitching, but it always requires more effort than should be necessary. Manual stitching itself is temperamental, and half of the times it takes a long time to find points in an image to then get an error message. 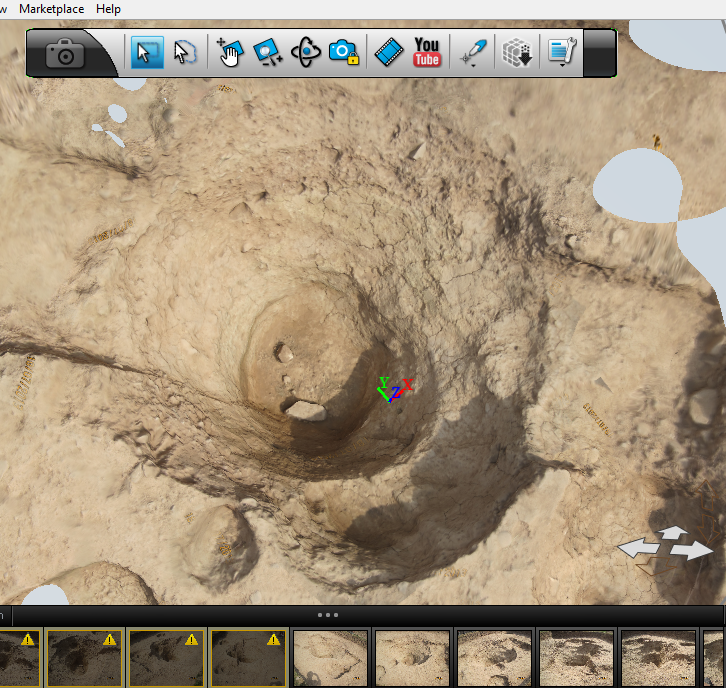 Overall I would still recommend it as the best program for Photogrammetry. Boehler, W. and Marbs, A. (2004). Investigating Laser Scanner Accuracy. Available: http://archive.cyark.orarchive.cyark.org/temp/i3mainzresults300305.pdf. Last accessed 9th May 2013. Chandler, J. and Fryer, J. (2011). Accuracy of AutoDesk 123D Catch? Available: http://homepages.lboro.ac.uk/~cvjhc/otherfiles/accuracy%20of%20123dcatch.htm. Last accessed 9th May 2013. Ducke, B., Score, D. and Reeves, J. (2010) Multiview 3D Reconstruction of the Archaeological Site at Weymouth from Image Series. Computers & Graphics, 35 . pp. 375-382. English Heritage. (2011). 3D Laser Scanning for Heritage . Available: http://www.english-heritage.org.uk/publications/3d-laser-scanning-heritage2/3D_Laser_Scanning_final_low-res.pdf. Last accessed 9th May 2013. Kersten, T., Sternberg, H. and Mechelke, K. (2005). Investigations into the Accuracy Behaviour of the Terrestrial Laser Scanning System Mensi GS100. Optical 3-D Measurement Techniques VII. 1 (1), p122-131. How Can 3D Printing Help Archaeology?